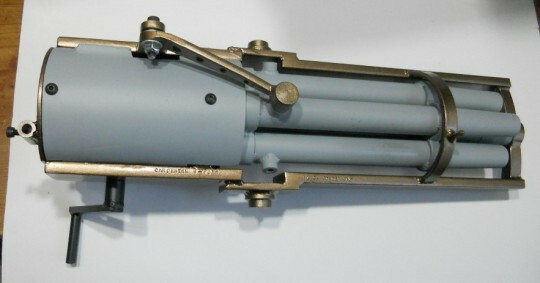 I came across some small cannons a while back built by Blackpowder-Cannons.com. They were small affairs, but sturdy, and could throw a cement filled soda can quite a ways. Then I ran across the proprietor's other projects and it all got interesting. 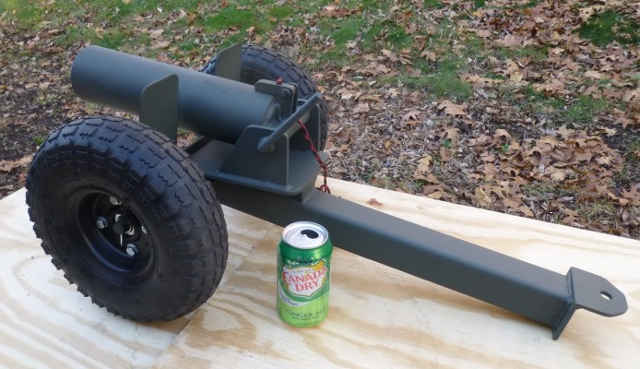 The following picture is one of his soda can cannons... and only 300 bucks. Then I ran across an old forum post of his showing off his replica miniature Hotchkiss revolving cannon, muzzleloader of course! And he must get into restoring old cannons, here is one of his videos from his newest channel after restoring an old Maxim Nordenfelt gun from the Spanish American War. Looks like quite a handy guy.